The Fellowship of The Ring. Seventh Impression October 1957. 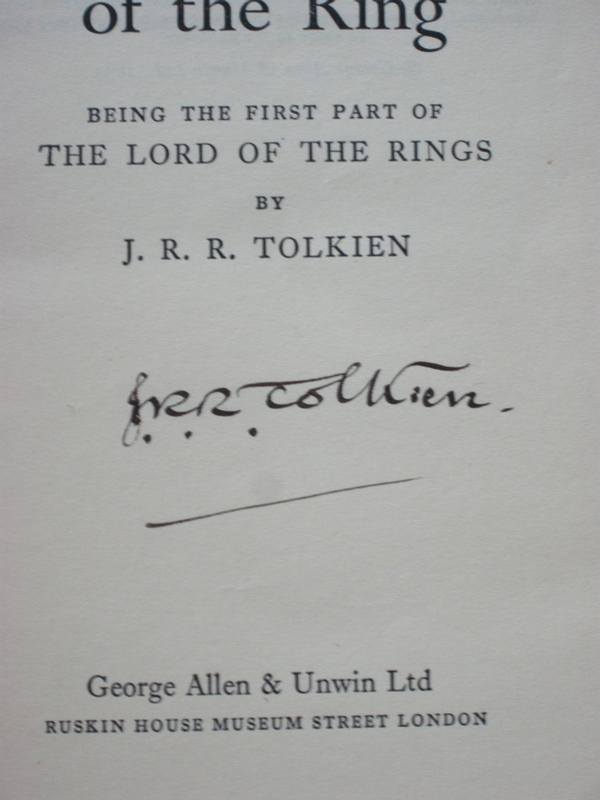 Signed by Professor Tolkien to the title page in his flowing style. 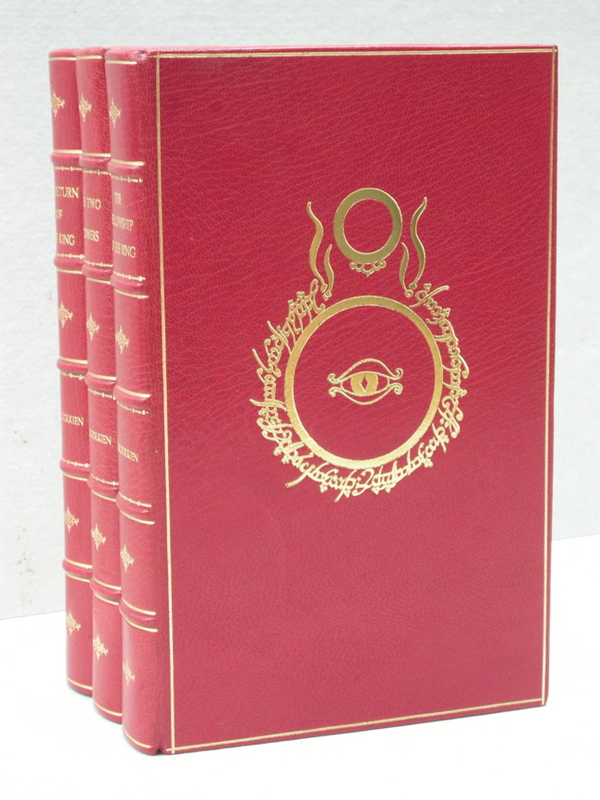 George Allen & Unwin, 1st UK Edition, beautifully bound set in Full Red Leather with the "Ring & Eye" design stamped to the front of all 3 volumes. Looks magnificent. A touch of Magic by The Chelsea Bindery!!! The Fellowship of the Ring is a 7th impression published October 1957. 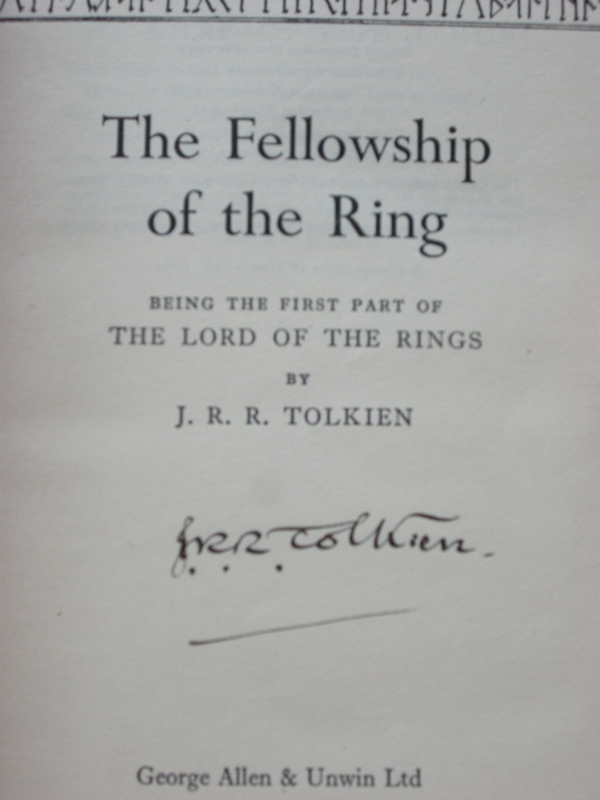 Signed by Professor Tolkien to the title page in his flowing style. 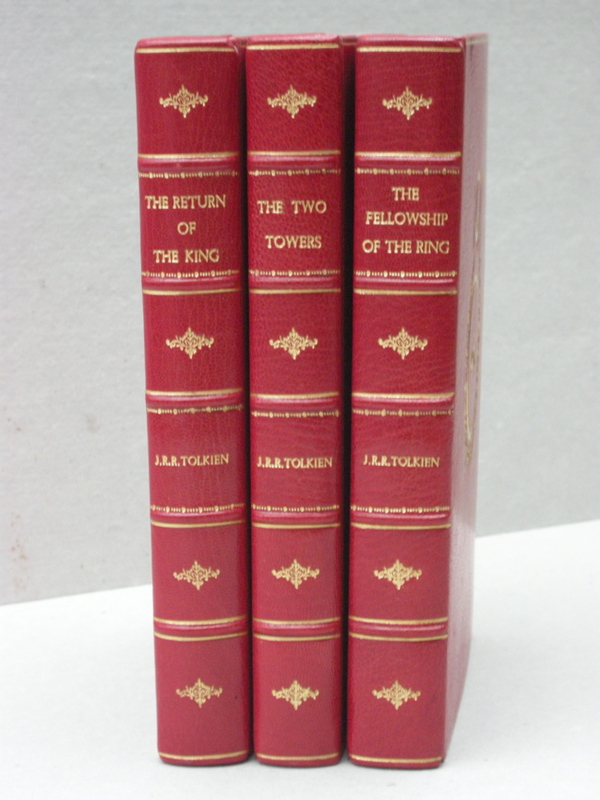 The Two Towers is a 5th impression dated 1957. 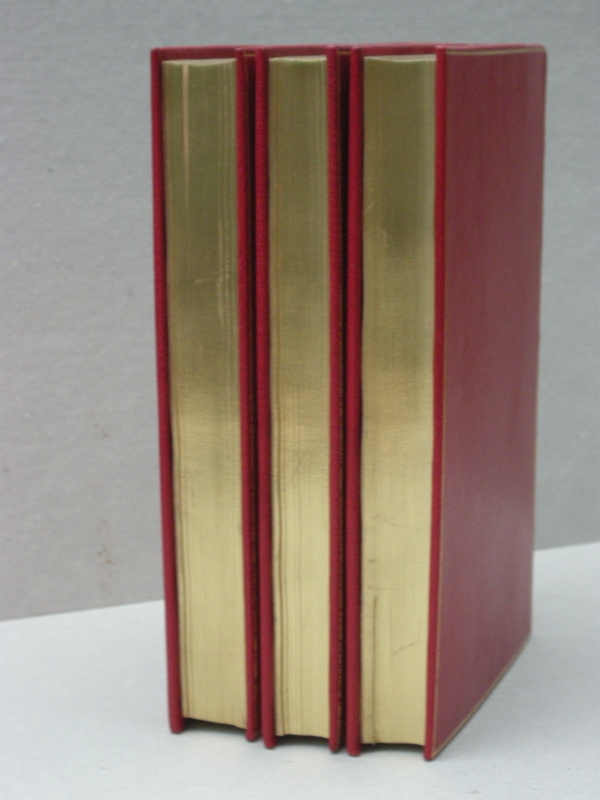 The Binding is lovely with gilt borders and raised compartments to the spine of each volume, titles and author in gilt. 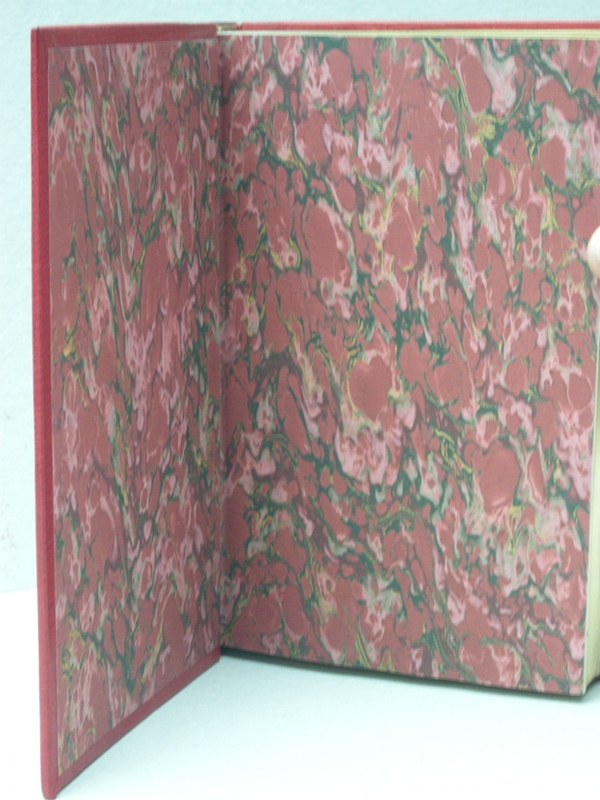 Each volume has marbled endpapers and Gilt to ALL page edges. The leather is unmarked and in perfect condition. All 3 volumes are Published by George Allen and Unwin, Museum Street London. All 3 volumes are perfectly clean internally with no foxing, no offsetting or inscriptions or marks. All volumes have the original maps in Fine condition to the rear. A must for the Tolkien collector. A beautiful design executed by the Chelsea Bindery. 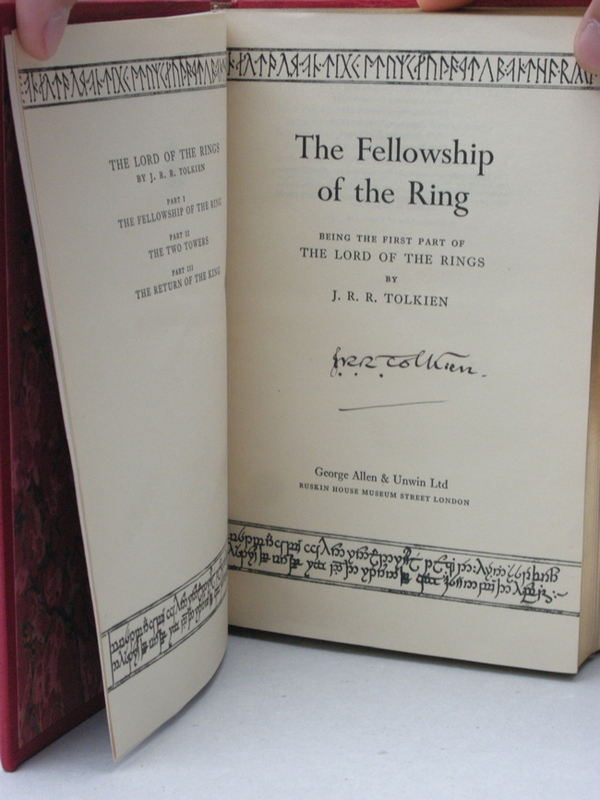 Beautiful looking set, with a classic design, featuring Tolkien’s best known autograph.